Everybody is doing it, jump on the Brand wagon! If you are like most people then you have become numb to stationary billboards and advertisements. Let our in house graphic designer and wrap specialists put your advertising ideas in motion by transforming the company vehicles into mobile billboards allowing constant exposure for your company the more you drive. Vehicle wrapping and branding is one of the most popular cost effective forms of advertising out there today. 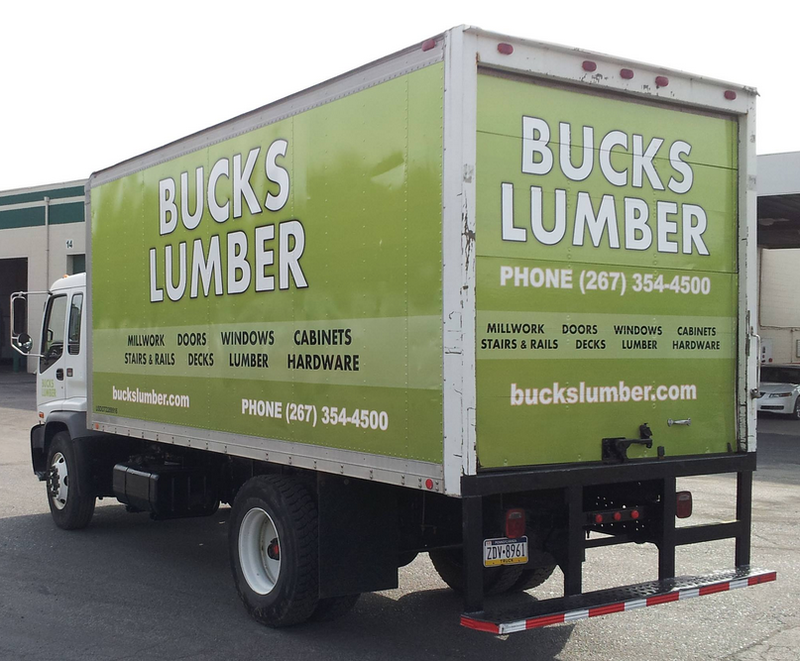 One of our most recent Fleet Branding projects was for our local friends at Bucks Lumber. 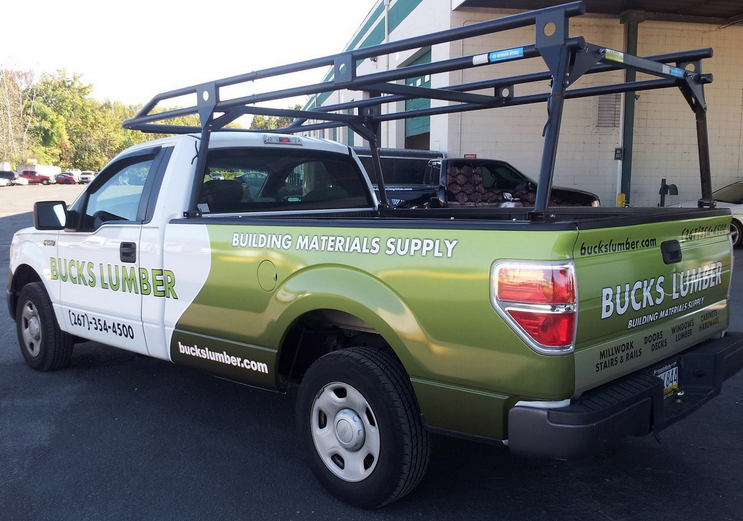 Bucks Lumber had a box truck and F150 pickup that were in need of some eye catching graphics. One of the first projects presented to us was a full box truck wrap, we were able to take their logo and brand the full box truck with the contact information and services they offer to give a clean straight forward look. Similar to the full box truck wrap the F150 was the same color, logo, and information, but was designed as a partial wrap. After installing the partial wrap on the bed of the truck we were able to utilize simple lettering on the cab to still give it the look of a full wrap but with the price and speedy completion of a partial wrap. No matter the variety of vehicles you have or whatever your spending cap may be we want to help your business get the exposure it needs and get your fleet on the street. Check back in with Apple Graphics to see some of the custom fleet vehicle wraps we are currently working on. Whatever your design ideas or budget needs are we aim to please at Apple Graphics.